2 dozen years” in 2019!!! 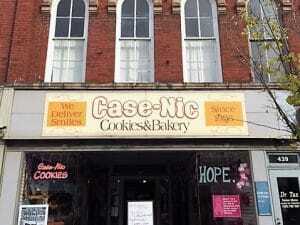 Case-Nic Cookies, located in the historic Village of Medina, has been satisfying the indulgences of customers since 1995. We specialize in homemade cookies, brownies, sweet rolls, cheesecakes, pudding cakes, pies, cupcakes, cakes and cookie cakes. 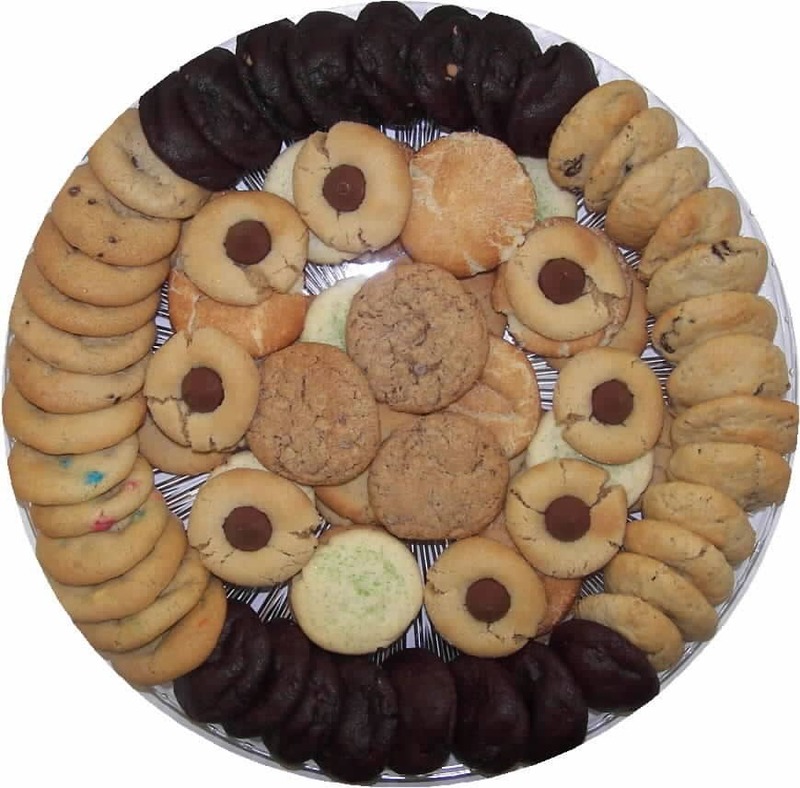 Cookie trays, baskets, gift boxes, bags and balloons for every occasion! 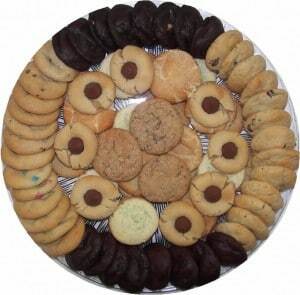 Do you love the taste of fresh, homemade cookies but don’t have time or energy to bake? Are you looking for something different and unique for that “hard to buy for person” or special occasion? Here’s why we are so special! We also have Carrot cookies, Ricotta cookies, Chocolate covered Peanut Butter Balls, Lemon or Raspberry Frosted cookies, Blarney Stones, Sour Cream Cookies, Oatmeal Cranberry with White Chocolate Chips cookies, Chocolate Mint Drizzles, Punkindoodles, and Zucchini by order. Want Dinner and Dessert all in one cookie? Try our “Janies”!!! A cookie made with Chicken, potatoes, peas, protein powder, juice and white chocolate chips!!! Inspired by my Mom, Jane, who had Alzheimer’s Disease and wouldn’t eat! She loved cookies and enjoyed these thoroughly!!! Pre-order only! We offer a new flavor for a month that available anytime or pre-ordered. February Cookie of the Month is “Sour Cream”! Hands down the best frosted Cut-outs are available every Wednesday or by order and during each Holiday season. Over 100 shapes to choose from (pre-order only). Alternative to the standard cookie. We have 5 different kinds: Chunkee Monkee, Cinna-Monkee, Cocoa Monkee, Luv Monkee, Cosmic Monkee and Chocolate Monkees. Be a member of our exclusive club! Buy 12 dozen cookies, get your 13th dozen free. * We keep your cookie card at the shop, you remind us you have one and we will punch it for each dozen you buy each time you come in. *(Regular cookies are free dozen).